The local food bank is looking for volunteers to help relief agencies with cleaning flood-damaged homes. 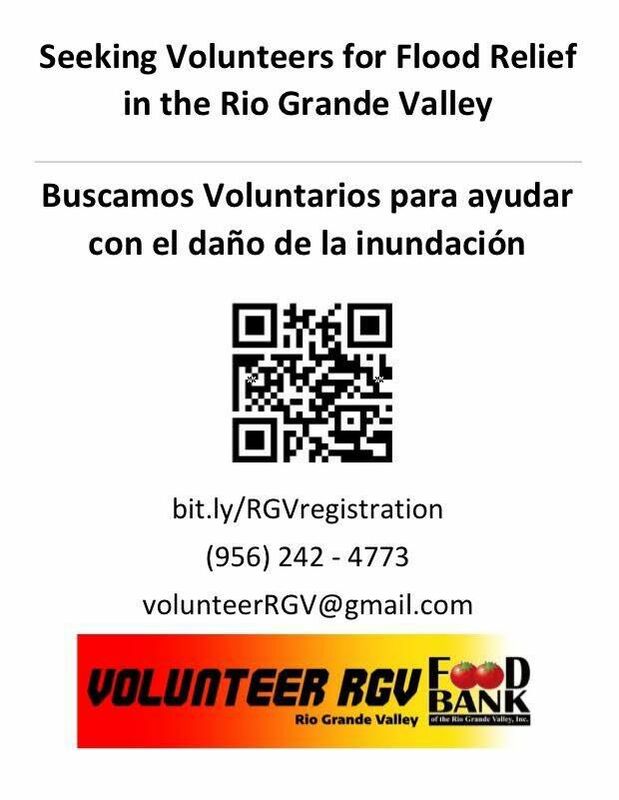 The Food Bank of the Rio Grande Valley, Inc. sent out a call Wednesday for people to join flood relief efforts as soon as possible. Volunteers will be doing physical labor, such as mucking and gutting parts of homes with water damage. Volunteers will be assigned to an agency working with the food bank, such as Samaritans Purse or Team Rubico. Those interested in helping can sign up by calling 956-242-4773 or by stopping by the food bank, located at 724 N Cage Blvd in Pharr, between 8 a.m. and 5 p.m. Monday through Friday. By calling the number, volunteers will be connected with a vetted relief agency that will assist with home cleanup.